Home > DIY- Do it Yourself > Dogs & Cats > Green Pest Control > Natural Solutions for Dogs > What Do I Do When I See a Flea on My Dog? Abby here, Content & Design Strategist at Wondercide. With flea season now heating up faster than the Texas sun, I must admit I’ve been getting a bit behind on my natural flea & tick prevention routine. After two weekends away, leaving the dogs at different sitters’ houses, I found myself – for the first time ever – face-to-face with a couple of fleas on my pup! And if that’s how many I saw…well, we all know there are many more I didn’t see. They say that prevention is worth a pound of cure, and that’s absolutely correct. If you prepare to keep fleas & ticks away before they become a problem, you won’t have to worry about what to do when they get into your house. At Wondercide, we recommend treating your pets 2-3 times per week (as well as on walks and adventures), treating your home quarterly and treating your yard every month or so to maintain a pest-free environment. The first thing you’ll want to do is spray down your dog with Flea & Tick Control for Pets + Home. Make sure to really work the solution into the skin, as it has to contact any existing fleas and eggs to kill them or prevent them from hatching. You can also wash your pup with our bug-repelling Flea & Tick shampoo bar beforehand to make it even easier to remove the fleas! If the fleas on your pup came from somewhere outside your home, it’s possible you don’t really have an infestation quite yet. 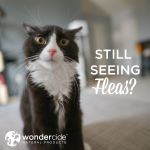 In that case, you should still at minimum spray Flea & Tick Control for Pets + Home on your pet’s favorite hangout spots – whether it’s the couch, the pet bed or anywhere else – in order to keep your home flea-free. However, if fleas around the house hop back onto Fido after you treat him, or you’re just worried they may have had a chance to spread around your home or yard, a full treatment is in order. You can use the included trigger sprayer on our gallon size of Flea & Tick Control for Pets + Home or you can use a compression sprayer for easier and faster application. You should also treat your yard with Flea & Tick Control for Yard + Garden 2 times, 7-10 apart days for good measure, as that will eliminate the full flea life cycle. Since I am decidedly obsessive about banishing bugs as soon as yesterday, I’ve opted to use a compression sprayer to treat my house this weekend. 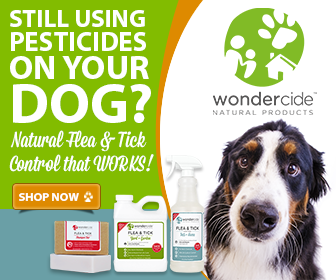 Although a thorough spritzing of Wondercide’s Flea & Tick Control for Pets + Home has left my pooch flea-free so far, summer is on its way, and the best plan of action is to establish control, and then maintain it. I’m using this as a perfect opportunity to clean my house and make it a no-fly zone for all the pesky pests with whom I’d rather not share a living space. 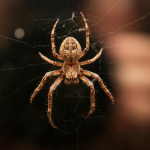 So, if you’re on board for a similar spring-cleaning, you’ll want to eliminate creepy crawlers from all the nooks and crannies of your home, so you’re starting flea & tick season off with the upper hand. From there, all you have to do is treat on a maintenance schedule, and you’ll be hosting BBQ bashes and lawn luaus in no time! 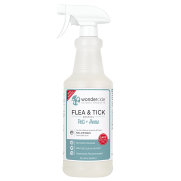 When I see a flea, first thing I do is pick it off and squash it and then my dogs gets a non-chemical bath to remove any other fleas and then it is time to spray her down with Wondercide. 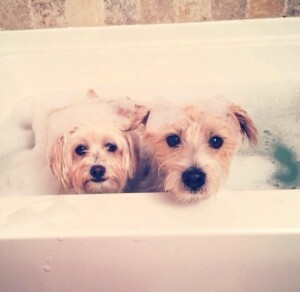 I would give them a bath with your Natural Flea & Tick Shampoo Bar! My Fritzel hasn’t had flee\as in his lifetime. I use everything Wondercide, of course 🙂 Wondercide is the only product that I use on Fritzel, in my home and outside around the house! If Fritzel ever had a flea, then I would immediately give him a nice bath w/ the Wondercide flea shampoo bar!!! Bathe my two and then spray…My Blackjack is allergic to fleas and harsh shampoos, so I am thankful for effective, but safe products! I spray a flea comb with Wondercide, then comb through my dog’s coat carefully. Because of all the rain this spring, this is going to be a very bad flea season this year, so I spot check our little dog for fleas this way several times a day. The comb captures any fleas that may be on him, and the Wondercide on the comb knocks ’em out quickly. Plus, putting Wondercide on the comb is a good way to distribute the product throughout his fur without over doing it–he hates being sprayed with anything, but he doesn’t mind being combed. Lori S.! What a terrific idea….and I bet it works well with cats too…Thank You! The fleas are out of control this year. It is just terrible. The Wondercide I ordered really gets the job done. It was worth every penny! Thanks so much for the PAWSitive feedback, Rose!